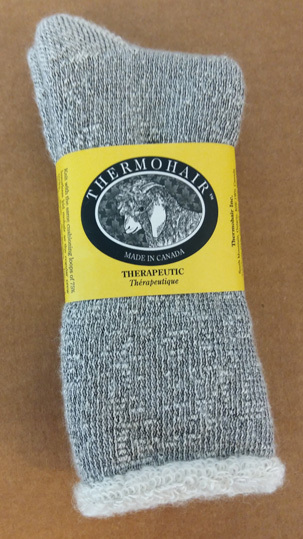 Successfully tested in Antarctica and on the world’s highest peaks, the regular socks are the original “Thermohair” socks and have been on the market since 1992. 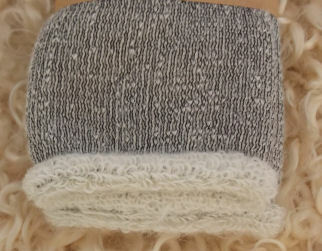 They are knit with large loops of luxuriously soft 75/25 kid mohair/nylon yarn. With unparalleled insulation and cushioning, they are the most comfortable, warm, durable socks that you will ever own. Ideal for those working and playing in the cold outdoors: contractors, hunters, fishermen, hikers, trekkers, linesmen, skiers, snowmobilers, skin divers………..The therapeutic version lacks the 2 inches of elastic around the cuff for those who prefer nothing binding around the leg. These are often chosen by diabetics, or people with heart and blood circulation problems.